From the Avengers collection by Kotobukiya. Marvel Universe Scarlet Witch 1/10th Scale ARTFX+ Statue. From the Avengers collection by Kotobukiya. 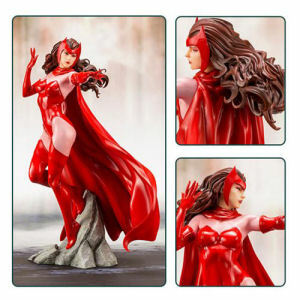 Marvel Universe Scarlet Witch 1/10th Scale ARTFX+ Statue. Statue stands just over 8 inches tall, Ages 14 and up.